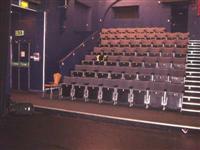 Barbican Theatre is an intimate and vibrant 140-seat theatre at the heart of the historic Barbican in Plymouth. Together with the B-Bar, Barbican Theatre offers a diverse programme of contemporary theatre and dance, laugh-out-loud comedy, and live music from across the world. From hilarious Christmas performances for the whole family, to chilled out soul and jazz music in the relaxed atmosphere of the B-Bar, this vibrant little venue really does have something for everyone. 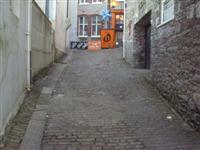 The theatre is situated on cobbled streets which are steep and not easily accessible to wheelchair users. 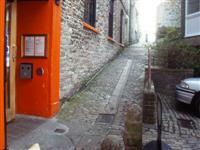 It is possible to drop-off directly outside the building in Castle Street, although the street is narrow here. 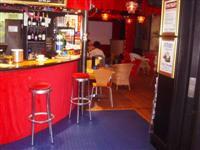 Tickets are ordered and collected from the bar, as there is no longer a separate box office. 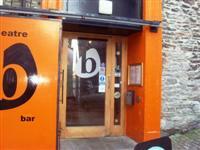 You are on Opening Times (Box Office/Bar). Skip to the next section. Theatre opening times vary according to performances taking place. There is no separate Box Office. Tickets are ordered and collected from the Bar. 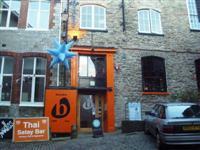 This venue is situated in Plymouth. The car park is located in Lambhay Hill. 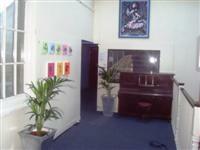 The photographs shows the streets outside the building. The automatic door is push pad operated. 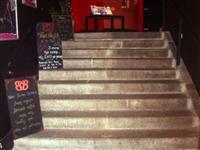 The steps are located immediately beyond the entrance. There is / are 9 step(s) to the area / service. The lift is located immediately beyond the entrance. 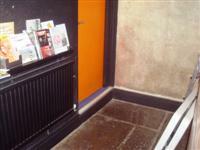 The clear door width is 78cm (2ft 7in). The dimensions of the lift are 100cm x 150cm (3ft 3in x 4ft 11in). The controls for the lift are not within reach for a wheelchair user. The controls are 90cm to 116cm in height. 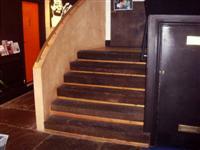 The steps immediately beyond the entrance can be overcome via this lift. 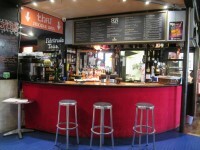 You are on Restaurant Bar Internal (B-Bar). Skip to the next section. The nearest table is 3m (3yd 10in) from the lift. The type of food served here is Thai. Plastic cups, cutlery and straws not available. Designated seating is located in the front row. Companions sit beside the patron. 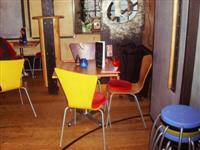 It is 25m (27yd) from the designated seating area to the nearest accessible toilet. 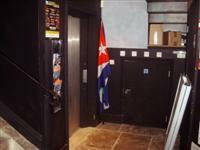 The accessible toilet is 8m (26ft 3in) from the lift. The accessible toilet is located to the rear of the box office. 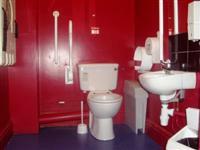 The dimensions of the accessible toilet are 146cm x 220cm (4ft 9in x 7ft 3in). An additional adapted toilet, with identical specifications, is available on the 1st floor. 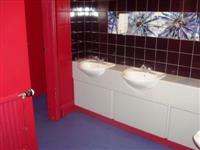 The baby change facilities are located in both adapted toilets. The female toilets are located at the rear of the building. The female toilets are 8m (26ft 3in) from the lift. The male toilets are located at the rear of the building. The male toilets are 10m (32ft 10in) from the lift. The photographs show the standard male toilet. You are on Level Change (Standard Male Toilet). Skip to the next section. The steps are located leading into the toilet.